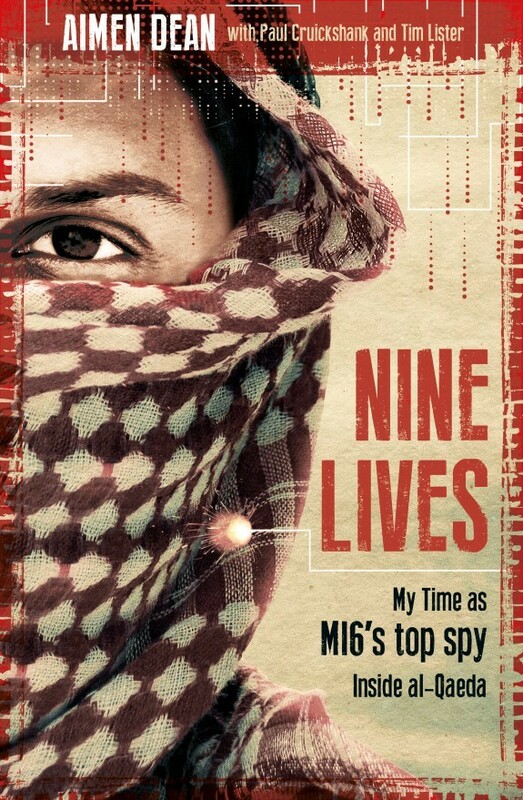 Cruickshank is the co-author of the book "Nine Lives: My Time as MI6's Top Spy Inside al-Qaeda" which was published by Oneworld in the UK and the United States in June 2018. It tells the story of Aimen Dean, arguably the most important ever Western spy inside al-Qaeda. As CNN's longtime on-air Terrorism Analyst, Cruickshank has played a central role in the network's coverage and reporting on al-Qaeda and ISIS terrorism. 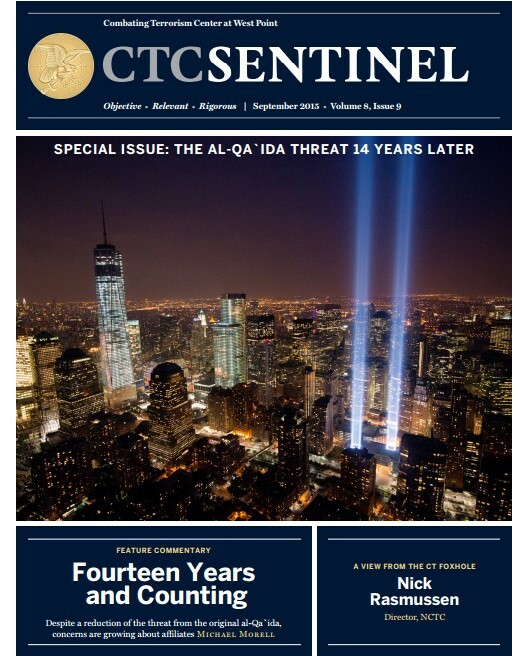 As the editor-in-chief of CTC Sentinel since 2015 Cruickshank has overseen one of the most prestigious publications in the terrorism studies field which each month features articles by the world's leading counter-terrorism researchers and interviews with senior counter-terrorism officials, including the directors of the CIA, NCTC, and the UK's Counterterrorism Command. 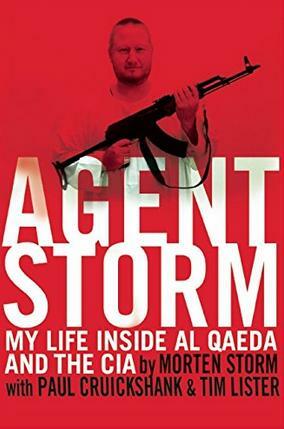 Cruickshank is the co-author of the 2014 international bestseller "Agent Storm: My Life Inside al Qaeda and the CIA." 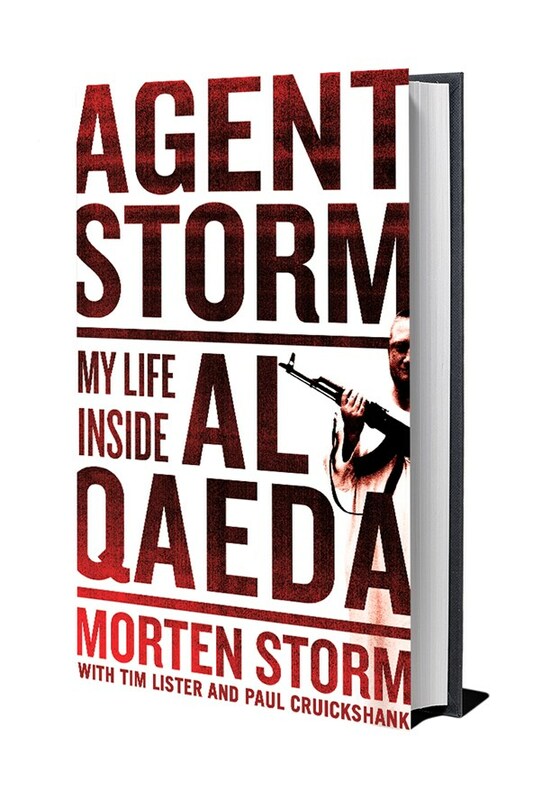 Agent Storm is a real life spy thriller: the memoir of the Danish double agent Morten Storm, who was Western intelligence’s most important spy inside al Qaeda. He led the CIA to some of al Qaeda’s most dangerous operatives, including the American terrorist cleric Anwar al Awlaki, and helped thwart terrorist attacks in the West. The book has been translated into more than a dozen languages and has been optioned for a major television series. The UK edition was published by Penguin in July 2014 and the US edition by Grove Atlantic in September 2014. The book was also featured in a special exhibit at the International Spy Museum in Washington DC. In September 2014 CNN aired "Double Agent: Inside al Qaeda for the CIA" a one hour documentary on Storm's story which Cruickshank helped produce. The documentary was awarded a silver world medal for "best investigative report" by the New York Festivals. 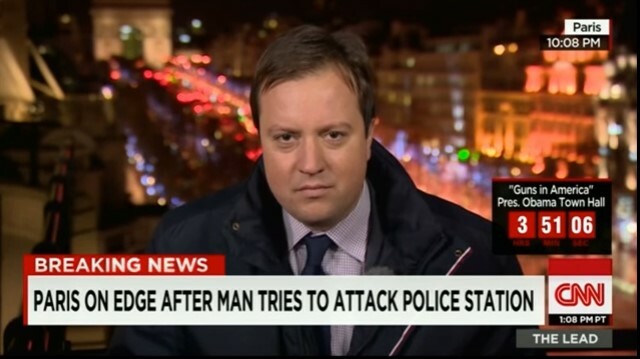 Cruickshank has regularly contributed to CNN's reporting of jihadi terrorism from a range of locations including the United States, Europe, and the Middle East and has frequently been a guest on CNN programs such as The Situation Room, The Lead, Anderson Cooper 360, CNN Tonight, New Day, as well as CNN International to provide on-air analysis and reaction to breaking news events. He was part of CNN's on-air breaking news coverage immediately after news broke of the death of Osama bin Laden in May 2011 and has provided on-air analysis on numerous major stories including the ISIS wave of terror in Europe, the Boston bombings, the 10th anniversary of 9/11, the 2010 attempted bombing of Times Square, the 2009 Christmas day attempt to bomb an airliner over Detroit, the 2008 Mumbai terrorist attack, and the 2006 Transatlantic Airlines plot. Cruickshank has written about jihadi and Islamist groups for a variety of international publications and news outlets including CTC Sentinel, The New Republic, The Guardian, Newsweek, The Washington Post, CNN, MSNBC, The New York Times, Mother Jones, Marie Claire, The Independent, Die Welt, The National Post, The New York Daily News, The Australian, Janes, and Studies in Conflict and Terrorism. Cruickshank also previously provided commentary on national security issues to a range of television and radio networks including the BBC, Channel 4 Evening News, NBC Nightly News, CBS Evening News, NPR, BBC World Service, BBC Radio 4's Today Programme, Canada's CTV, Reuters, Fox News, and Al Jazeera English. In July 2011 the New America Foundation published a 66 page study by Cruickshank on the militant pipeline between the West and the Afghanistan-Pakistan border region that has continued to provide al Qaeda an opportunity to target the West. Cruickshank is the author of the introductory guide "Al Qaeda: the Current Threat," (Pocket Issue, October 2008). In July 2012 CNN aired "Caging Terror" a thirty minute documentary produced by Cruickshank on a former cage fighter's pioneering program to rehabillitate convicted terrorists in the UK. In April 2012 Cruickshank and CNN colleagues Nic Robertson and Tim Lister revealed for the first time al Qaeda's internal account of the July 7, 2005 London bombings and 2006 Transatlantic Airline Plot. CNN International aired a 30 minute special on the story and it was a lead story on AC360. 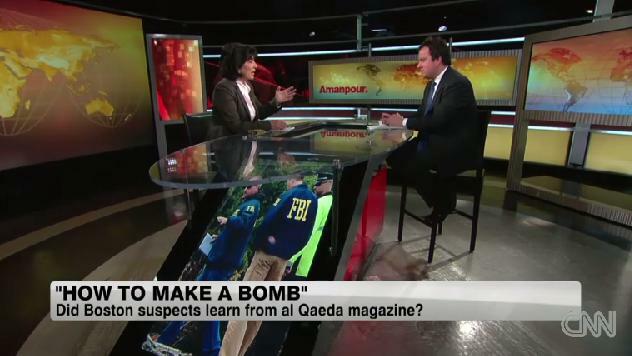 In February 2012 CNN aired "Deadly Cargo" a 12 minute magazine report produced by Cruickshank on the 2010 AQAP "printer" bomb plot and the threat posed by the group to international aviation. 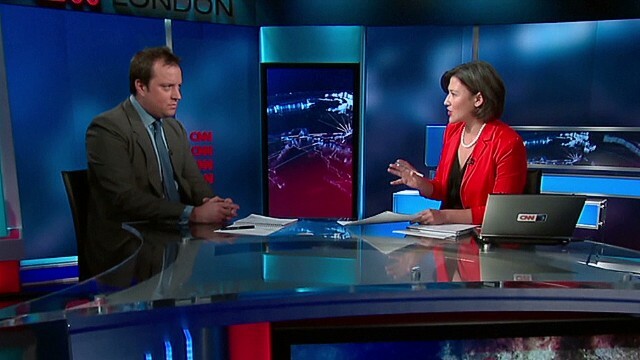 In September 2011 Cruickshank worked with CNN Senior International Correspondent Nic Robertson and Executive Editor Tim Lister to put together several reports on the al Qaeda threat ten years after 9/11, incuding an in-depth investigative report on the threat to air cargo and an analysis of the threat of lone wolf terrorism. In September 2010 CNN aired a 9/11 anniversary special report "Bin Laden's New Jihadis" to which Cruickshank contributed reporting. In May 2010 CNN aired the hour long documentary "American Al Qaeda" which Cruickshank produced, and appeared in. The special report was the result of a ten month investigation by Senior CNN International Correspondent Nic Robertson, Senior CNN Producer Ken Shiffman and Cruickshank into the story of American al Qaeda recruit Bryant Neal Vinas. In February 2010 the New America Foundation published an in-depth study by Cruickshank on the Militant Pipeline between the Afghanistan-Pakistan border region and the West an update edition of which was published in July 2011. In December 2009 CNN aired "Homegrown Terror," a 30 minute CNN Special Report. The program contained several reports from a CNN Special Investigations Unit series on the domestic terrorist threat which Cruickshank proposed and helped put together. Later that month Cruickshank reported for CNN from London on the attempted Christmas Day bombing of an airliner in Detroit. In November 2009 CNN aired "The Jihadi Code" a documentary produced by Cruickshank on the repudiation of Al Qaeda by the Libyan Islamic Fighting Group, one of the world's most prominent Jihadist groups. The documentary was the result of two years of investigative reporting during which Cruickshank and colleague Nic Robertson obtained exclusive access to Abu Salim prison in Tripoli and exclusive interviews with key players in the talks that led to the breakthrough. In February 2009 Cruickshank produced a half hour CNN documentary "One Woman's War," which profiled "Al Qaeda living legend" Malika el Aroud. The program was nominated in the category of "best documentary" in the 2009 Monte Carlo Global Television Awards. In October 2008 Cruickshank's on-camera reporting was featured in the CNN International half-hour documentary "Deadly Recruits: Female Suicide Bombers." Cruickshank was the co-producer of an hour-long Dateline NBC documentary on the 2006 "Airline Plot," which aired in September 2008. The report was awarded second place in the National Headliner Awards for the "best news magazine program" of the year on US network television. In June 2008 Cruickshank co-authored a cover story in the New Republic with Peter Bergen entitled "The Jihadist Revolt against Bin Laden." The story was reprinted in several leading publications around the world and was picked up by several newspapers, including the New York Times, Wall Street Journal, Economist, Financial Times, and the London Times. Their report also helped generate a Congressional Hearing and a Capitol Hill Panel on al Qaeda’s ideological vulnerabilities. In March 2007 Cruickshank co-authored with Peter Bergen the "Iraq Effect," a study which found a significant increase in terrorism around the world in the period after the US invasion of Iraq. In 2006 Cruickshank worked with CNN on a two-hour Emmy-nominated documentary “In the footsteps of bin Laden,” based on Peter Bergen's 2006 Oral History "The Osama Bin Laden I Know," which he helped research. Cruickshank graduated from Cambridge University with a degree in history, and has a Masters degree with Honors in International Relations from the Paul. H. Nitze School of Advanced International Studies at the Johns Hopkins University. He has also worked in the European Parliament in Brussels and at the Center for Strategic and International Studies in Washington D.C.
Below: With CNN anchor Anderson Cooper in New York City on May 2, 2011 after news broke that Osama bin Laden had been killed. Above: On assignment with CNN, Tripoli, Libya, 2009. Below: US edition of "Agent Storm"
Below: On the Larry King Show, New York, 2007 Below: UK edition of "Agent Storm"
Below: Interviewing Malika el Aroud for CNN "In the Footsteps of bin Laden" documentary, February 2006. She was later arrested and convicted of terrorism offences. Below: In Libya in 2009 for CNN Senior International Corresondent Nic Robertson's interview with Saif al-Islam Gadhafi in his Tripoli residence for our documentary "The Jihadi Code." Below: we were first journalists allowed into the notorious Abu Salim jail in Tripoli in 2009 to meet "jihadi" prisoners.